Being ill is awful. 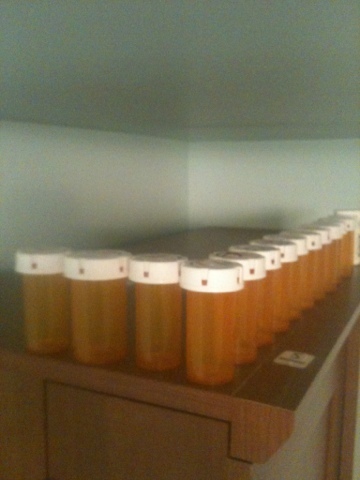 The picture enclosed is the start of this years pill bottle collection. Stay tuned! Watch it grow!